We’ve decided to start a blog!! Let’s start off with our first wedding of 2014! We were contacted by the mother of the groom to help her plan her son and daughter-in-law’s March 29 wedding. Qing and Erin were such an easy laid back couple…and rightfully so…they had eloped over Thanksgiving and are expecting their first child! We were excited to help plan their big day. The ceremony was held at The Denver Botanic Gardens and the reception was held at the new Ruth’s Chris Steakhouse (highly recommended!! even if just for a rehearsal dinner). 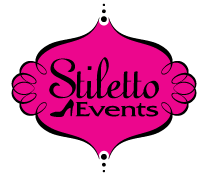 https://augustmagnolia.com/stilettoeventplanning/wp-content/uploads/2014/03/10364214_779787065373554_9209305978435183586_n.jpg 480 720 janeyj https://augustmagnolia.com/stilettoeventplanning/wp-content/uploads/2016/03/stilettoEvents-vertical.png janeyj2014-03-30 17:47:302016-03-13 21:38:50Stiletto's First Blog Post! !